Best Seller! 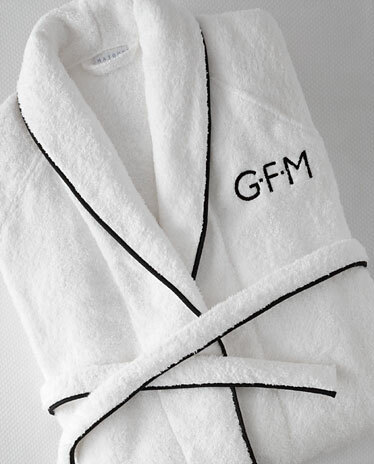 All white 100% Egyptian Cotton Terry spa robe. Select your color choice for the piped border. Very luxurious! These are loose fitting and are approximately mid-calf length. Robes are oversized. 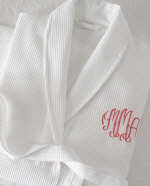 Monogramming: Add your monogram selection below.